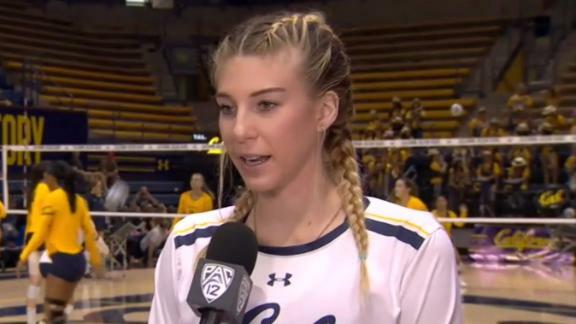 Cal volleyball player Savannah Rennie, who had a liver transplant in 2016 and is now undergoing chemo for non-Hodgkin post-transplant lymphoma, explains the bond with her teammates prior to a game earlier this month. 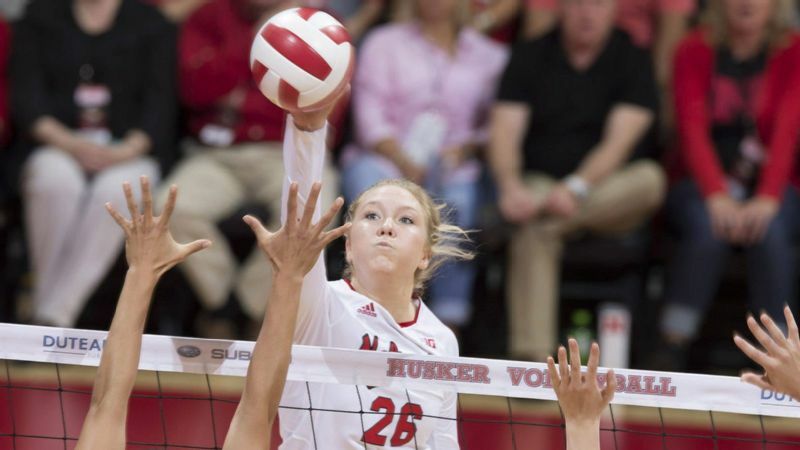 It was just more than a year ago, on Oct. 7, when Savannah Rennie took the volleyball court. It was a Friday, her college debut against Utah. The ball sailed toward Rennie on the right side of the floor. She leapt up and smashed it down, nailing her first kill. Her teammates screamed and hugged her, tapped her on the head. Rennie took a step closer to the net and tears welled up. She tried to keep them from falling, stiffening her lip and cheeks as she stared through the net. It was a miracle she had returned to the court less than five months after receiving a liver transplant. She had battled a rare disease -- congenital hepatic fibrosis with portal hypertension -- that threatened to take her life. Rennie had begun to return to her normal life. But that life has been turned upside down. Again. The 20-year-old is now battling non-Hodgkin's post-transplant lymphoma. The disease usually doesn't affect patients for 10-15 years after they've started anti-rejection medication for their transplants; it had been only a year for Rennie. She has begun chemotherapy. "She's fighting," said Matt McShane, Cal's coach. Sometimes McShane literally has to pull Rennie off the court. Every day she musters the strength to go to Haas Pavilion for practice. She rarely sits, tossing balls to the setters, delivering pointers to the middles. She often loses her voice during games because she's cheering at the top of her lungs for the Golden Bears (12-9). "I'm not going to let this beat me," Rennie said. Back in May, Rennie's mother, Renee, took her to Key West, Florida, to celebrate the one-year anniversary of her successful liver transplant. Along with Rennie's close friend, Brigitte McCarthy, the trio took a jet boat down from Fort Myers. Renee and Brigitte even tricked Savannah into going to a bar where the patrons were naked. Savannah laughed and laughed. Renee hadn't seen her daughter smile in a while. Peace, they felt. Hope, they found. No more dark emergency rooms. No more tear-stained phone calls. No more bracing for the next day's demands. Savannah Rennie is active at practice and loud at games. But Rennie began to feel off. And when she went back to Berkeley for summer classes, she experienced abdominal pain and dizziness. She fainted. She was rushed to the emergency room. Doctors said her liver was fine. Perhaps it was an abscess. Rennie arrived at Stanford Medical Center the next morning with 10 days' worth of clothes but quickly learned she'd be staying for much longer. The doctors had discovered a 12-by-7-centimeter mass (roughly the size of a tennis ball) in her small bowel. The surgeons wanted to act quickly because the tumor was growing. The surgery was long -- three hours -- and intricate because the tumor had attached to other organs. She then underwent four weeks of infusion, which uses strong medication to kill the antibodies that attach to the lymphoma. That reduced the cancer by about 50 percent. Tumor. Cancer. Chemo. When Rennie heard those words, she spiraled into a dark place. When she found out she would at some point lose her hair, she cried all the way home. Her teammates couldn't see her at first, while Rennie was recovering from her initial surgery. "Every single one of them would have walked from Berkeley to Palo Alto if that would have allowed them to get in and see her," McShane said. When they finally did, they found Rennie, lying down and forcing a smile. "Don't worry," Maddie Haynes, teammate and close friend, remembers Rennie saying. "I'm going to get through this." Rennie's inner circle measures moments by days. On Sept. 21, Rennie received her first round of chemotherapy. Every 21 days, she receives another round (four total cycles). On Days 7-17 of a round, Rennie becomes susceptible to a variety of illnesses -- like colds, flu or coughs -- because of a dip in her blood-count levels. On Oct. 5, Rennie lost some of her long blond hair. Today, it is almost all gone. Rennie never saw limitations in life. She taught herself to ice skate, swim and ride a bike all before the age of 3. She struck out boys in baseball. 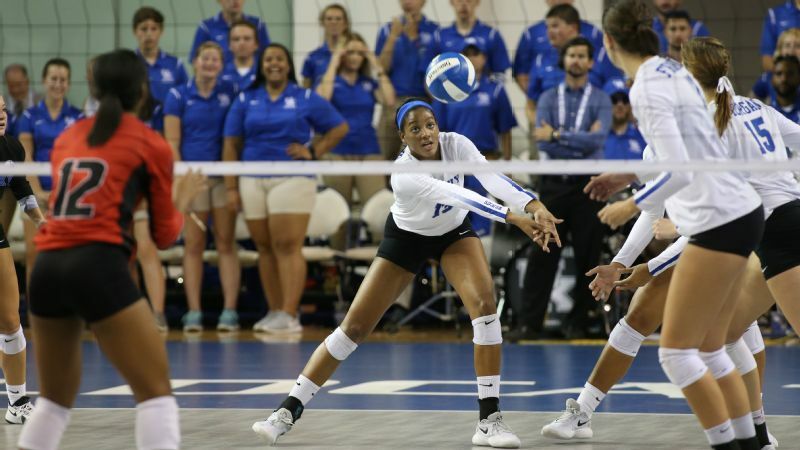 She had the power, hops and finesse to dominate volleyball games as a top-20 national high school recruit. 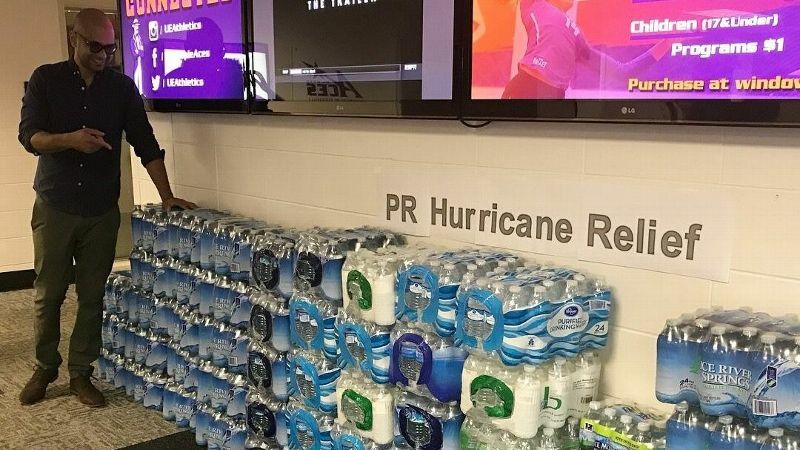 And now she stands, keeps stats, cheers -- anything to stay on the court, even as she feels weak inside. 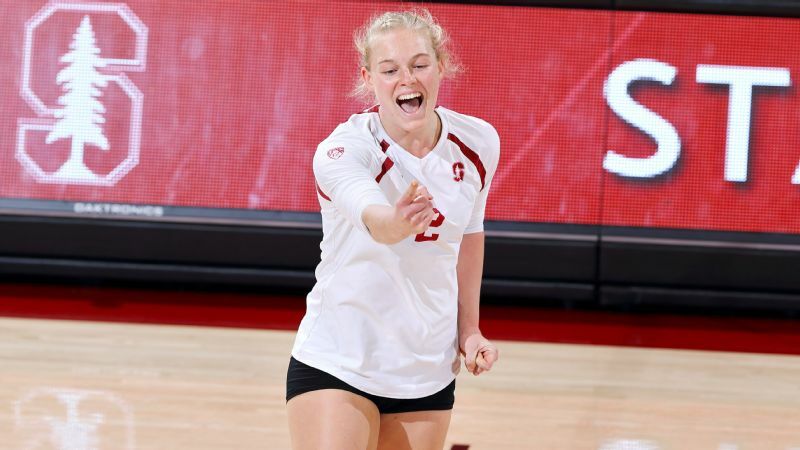 Cal's Savannah Rennie is undergoing chemotherapy and visualizing the day she returns to volleyball. There are good days. There are bad days. There are tearful nights in bed with Renee, who has moved into Savannah's apartment to take care of her. Renee will scratch her daughter's back and Savannah will cry and ask, "Why? Why me? Why is this happening again?" And Renee, who is still recovering from her child's liver transplant and from seeing her so vulnerable, cannot stop the tears from streaming down her own face when she cannot deliver an answer. "My doctors have warned me that [the chemotherapy] doesn't get easier and it probably is going to get worse," Rennie said. "I'm just kind of locking down for that." Rennie and her teammates and friends still tell jokes, listen to music, talk about school. The familiar banter helps her cope. "It keeps my mind off things," she said. She maintains her favorite activities, like cooking salmon and Brussels sprouts. 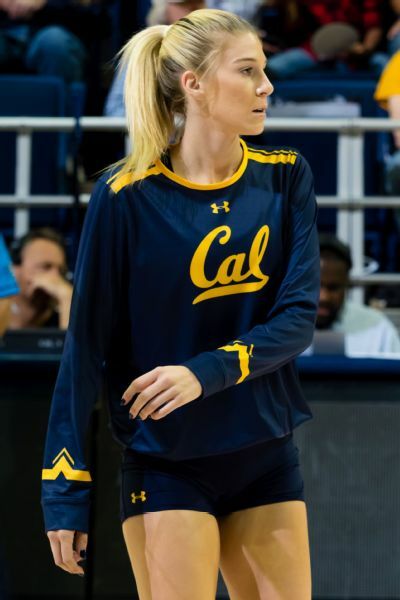 She relies on support from loved ones: her mom; her dad (Bill); her brother (Luc); her aunt (Debbie); her grandmother (Carol); plus her teammates and coaches; the Cal athletic department and volleyball community; her friends; and her boyfriend, Long Gutierrez, a former Cal swimmer. The night Rennie was first rushed to the emergency room, Gutierrez sat in her room, propped up on an uncomfortable wooden chair. He refused to doze off, holding Rennie's hand the entire night. Even Fergie, Rennie's 10-year-old dog who is a certified emotional support animal, was a constant presence, clinging to Gutierrez's lap at every Cal home game. Twice a week, Renee cooks dinner for Savannah, Haynes and Gutierrez. One night in September, the day after her first round of chemo, Savannah was feeling ill. She lost her appetite, so Renee decided to assemble one of Savannah's favorite childhood comfort meals: chicken-flavored Rice-A-Roni. As soon as Savannah smelled it, she let out a giant laugh. Renee felt something in her own body release. She wanted to hold onto that. Savannah thinks about volleyball all the time. She sees herself jumping, blocking, cheering, rising up for that kill she had last season. "I visualize when I'm going to come back again," she said. I'm not going to let this beat me. A few weeks ago, McShane walked into the gym and found Savannah playing pepper, giggling. It's a fairly simple drill, something you do with one teammate. But Savannah hadn't done that yet. McShane stopped for a second, amazed, as Savannah looked like any other player warming up. Then he felt fear. He wasn't sure whether she was supposed to be moving like that. Sometimes he does have to pull her back and tell her to sit down. But as he watched her, he realized: Sometimes he just needs to let her go. She needs the court. She needs you to see her exactly as she is: Savannah Rennie. No. 16. Middle blocker for Cal.